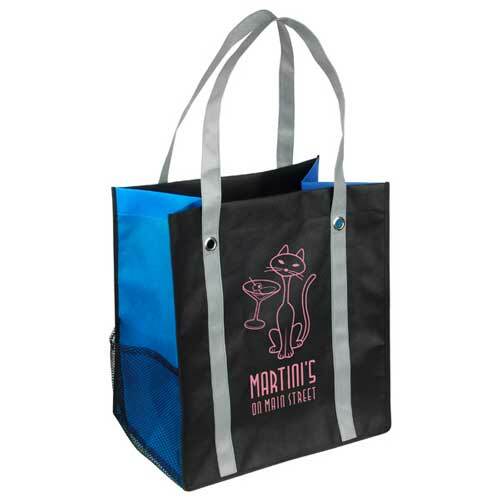 Impulse Mesh Shopping Bag Recyclable and reusable.Grommet reinforced light gray handles. 9" gusset with side mesh pocket. Lightweight 90GSM non-woven polypropylene.